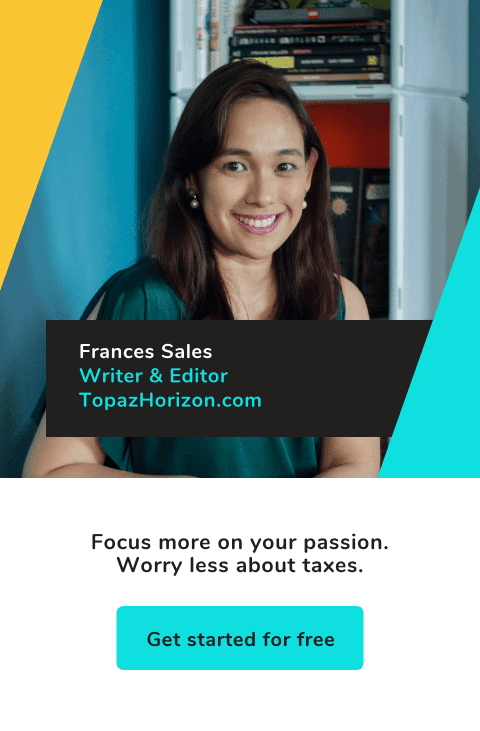 TOPAZ HORIZON: My 6 staycation secrets revealed! My family is going on a vacation. Hooray! We've been so busy this year, we never had a chance to plan a proper holiday. But now we found a free weekend and we blocked it off for some family fun time. It's just a staycation actually. When you're a mom of little kids, travel is both fun and exhausting. Some parents don't like traveling with their young kids because it truly can be a stressful experience—lots of worrying, luggage and money involved haha. When I was still a new mom, I had actually planned on avoiding travel with my kids until they were 8 or so. It seemed like a waste of money because in my mind, they're not going to remember anything anyway. 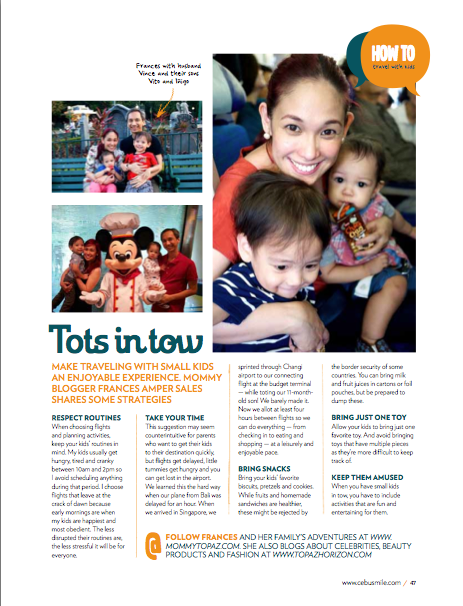 But when Vito was 7 months old, we had to fly to Cebu and my family had such a fun time. 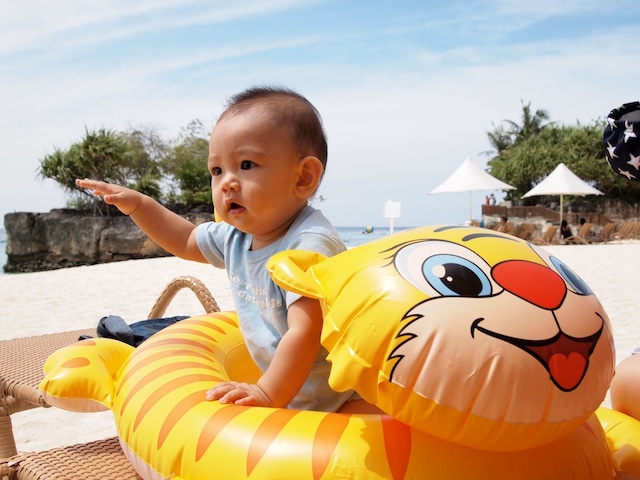 Then when he was 11 months old, we had to go to Bali for a wedding, and Vito's brain and motor skills seemed to progress faster. Then when he 2-and-a-half, we went to Tagaytay and his verbal skills were suddenly on display when he was confronted with animals in a zoo. Yes, our previously non-talking child was forced to speak because he had to tell us he was afraid of animals! So even if I really don't like traveling with kids, I see the huge benefits traveling has on the kids' development and the family dynamics. So... we travel! 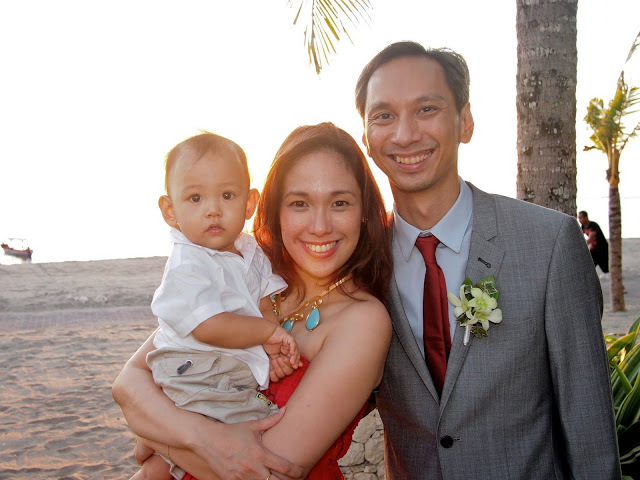 Vito's trip to Cebu was full of firsts: first plane ride, first hotel, first beach. Bali hai! 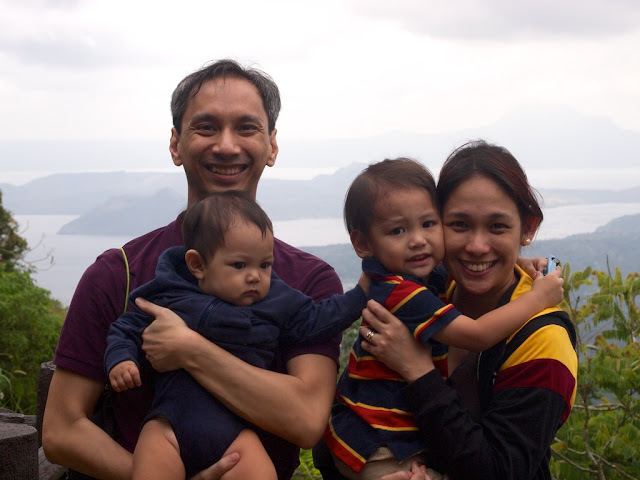 Our first family trip abroad was to Indonesia. Vito loved Bali! Our first family trip together (when we were still just four!) was to Tagaytay. That road trip forced Vito to talk! We've gone to many places near and far since but for this short weekend coming up, we decided on a staycation in the city. I'll tell you why in a bit as I reveal my 6 staycation secrets! My first step is always asking myself and my kids, "What do we want to see or do?" For our upcoming trip, I had to consider these: (1) Vince wants to go eat at Antonio's and I want to check out Tagô so that means Tagaytay; (2) the boys want to go back to Peacock Garden in Bohol and I needed to restock on my favorite Bohol Bee Farm honey so that means Bohol; and (3) I saw that we had a lot of gift certificates that needed to be used and we wanted to eat the President's steak at Myron's so that means Makati. I decided on the last because the kids and I haven't been feeling well lately and maybe it's a good idea to stay near home and hospital, so Makati staycation it is! #2 Look for hotels nearby. Makati is teeming with hotels but I wanted a hotel that's super near where we wanted to be. Like, we wouldn't need to go take the car anymore. Especially because of the traffic and the parking! Because I know Makati almost like the back of my hand, I immediately knew my choices will be limited to hotels attached to or walking distance to Glorietta. So that's Ascott Makati, Holiday Inn, Dusit Thani, Fairmont, Raffles, Discovery Primea, and Makati Shang. If I'm visiting a new place, however, Google is my friend! Booking sites like Traveloka have filters in their search tool so you can easily narrow down the hotels you want. #3 Check if these hotels are kid-friendly. It's not enough that the hotel is near. When you have a family, especially with little ones, a hotel needs to be family-friendly. That means no-smoking floors, a kiddie pool, a play area, and even a babysitting service (although this isn't my concern because we just bring the kids with us everywhere!). Something I also look for is if the hotel is okay with feeding little people for free. Or even letting kids stay in the room. Some hotels really don't want kids around. Don't pick those hotels and then insist on bringing your kids. It's just not going to work out! What helps me determine if a hotel is family-friendly is the hotel website itself. Look at the pictures of the pool. Check how many people the room can accommodate. Travel blogs also offer a ton of reviews. I love travel blogs! Soooo many discounts online! Hotel websites will always have a promo or offers to entice you to pick them over the others. Booking sites also have huge discounts. Some of the hotels I found on Traveloka have discounts of up to 30%! It's especially cheap now because it's off season, being the rainy season, so you can find lots of goodies online. 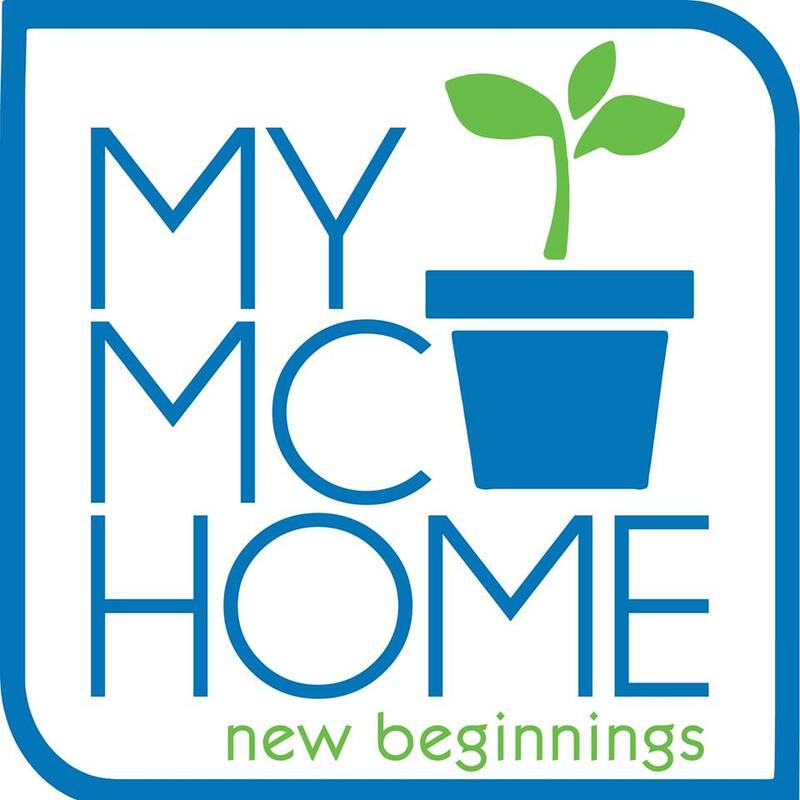 Easy, convenient, and fast! I love shopping online! #5 Bring your kids' favorite things. Don't bring them all, and don't bring the toys that will fall apart (no Legos!). But do bring one thing from home that will make them not miss home too much. #6 Plan but be flexible. It's always good to have an itinerary when you're somewhere new since this will keep you from wasting time asking each other, "Where will we go? What will we do? Where will we eat?" But whenever there are kids in the party, it's also a good idea to be ready to throw out those plans. Kids are known to get tired, fall asleep standing up, and throw tantrums. When that happens, you need to let go of the plans and go back to the hotel room. After all, that's what room service is for! I hope you liked my tips! They're not so genius but they are practical, especially for moms. I can't wait for our staycation. I'll definitely tell you all about that holiday. Have a good weekend! P.S. I like writing travel articles! Maybe I should do travel blogging!